Fisheries officials said the objective was to stabilise the 54.25-km identified vulnerable coastal stretches of Tamil Nadu. 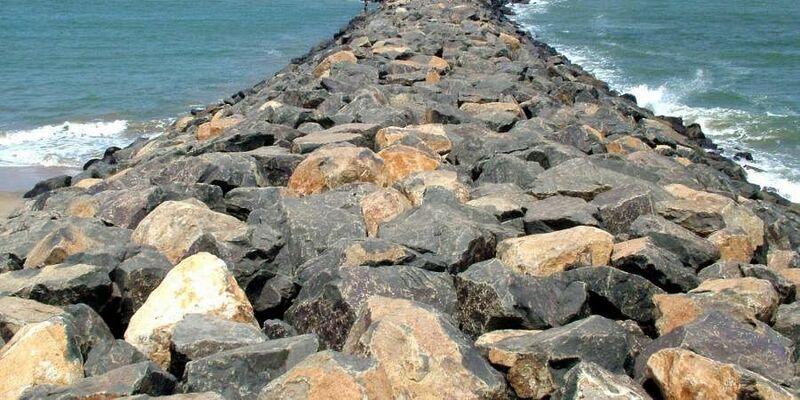 CHENNAI: The Tamil Nadu Fisheries department is planning to build groyne fields at 21 locations across four districts and a proposal has been submitted to the Union government, seeking a financial aid of Rs 1,220 crore. The grant is sought under the Green Climate Fund as part of the Tamil Nadu State Action Plan on Climate Change (TNSAPCC). Fisheries officials said the objective was to stabilise the 54.25-km identified vulnerable coastal stretches of Tamil Nadu. “Over a period of five years, construction of groynes, break waters, retaining wall for bar mouth stability, tree plantations and other site-specific suitable structures are proposed to reduce sea erosion,” the officials said. It aims to mainly develop comprehensive shoreline management plan and to promote livelihood development activities along the highly vulnerable coastline stretch, including Chennai, Tiruvallur and Kancheepuram. In fact, the proposal was sent to the National Bank for Agriculture and Rural Development (NABARD) in 2015, which, in turn, forwarded the proposal to the Union government and the project has since been under the scrutiny of the Ministry of Environment, Forest and Climate Change. This was one of the 13 proposals submitted by minister KC Karuppannan to Union Environment Minister Harsha Vardhan on Tuesday. However, environment activists have raised an alarm, saying this would do more harm than good. “Today, the pristine long white sandy beach stretch of Muthukadu, about 30 km from Chennai, is a victim of man-made disaster. The sea erosion has reached dangerous levels and the coast is fast destabilising swallowing property and livelihood of local fishermen. The root cause of the problem is groyne field built by the Fisheries department in 2016. “About 400 metres of beach vanished. Groynes just shift problem from one place to another and this cannot be a long-term solution to sea erosion,” said Pooja Kumar of the Coastal Resource Centre. Environment activists have raised an alarm, saying this would do more harm than good. “Today, the pristine long white sandy beach stretch of Muthukadu, about 30 km from Chennai, is a victim of the man-made disaster. The sea erosion has reached dangerous levels and the coast is fast destabilising swallowing property and livelihood of fishermen. The root cause of the problem is groyne field built by the Fisheries department in 2016. About 400 metres of beach vanished. Groynes just shift the problem from one place to another and this cannot be a long-term solution to sea erosion,” said Pooja Kumar of the Coastal Resource Centre.